Zumba fitness is popular in gyms everywhere because it is a fun and fulfilling full-body workout. It is a cardio workout in which your heart will get pumping, increasing your metabolic process and making you shed extra fat. Zumba for weight loss is not new to the fitness world. However, it becomes more and more popular daily because people get addicted to it everyday. This makes dancercise so much fun and easy to incorporate into your regular routine. It is growing in popularity as a favorite full-body workout because it helps you burn calories and lose weight while you have fun dancing with other fitness enthusiasts. 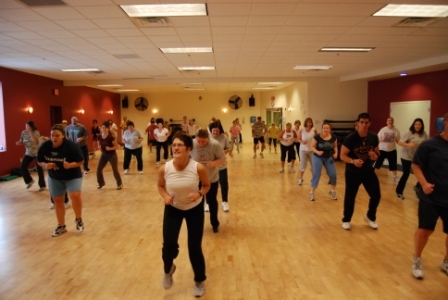 When you join Zumba fitness classes in Foxboro, MA, you will dance your way to weight loss while enjoying Latin music fused with contemporary dance beats. You do not even need to know how to dance to enjoy its benefits. The exercises in these classes are so engaging that you are not even aware you have been exercising and burning calories. Because you release happy hormones when you dance, you will end class feeling fulfilled and relaxed as well.